Preity Zinta is one of the most popular leading ladies of Bollywood, who is famed for her cute dimpled smile and attractive personality. This versatile actress has delivered a number of unforgettable performances in her illustrious career and also has become a successful businesswoman, owning an IPL team called Kings XI Punjab. Income Sources: Preity Zinta is one of the top actresses in the industry, who gets nearly Rs 4.5 crore per film. She has also been a part of a number of ad campaigns and brand endorsements, with popular brands like Liril soap and Cadbury’s Perk chocolate. Priety also co owns an IPL team Kings XI Punjab, with Ness Wadia , in addition to a Delhi based production house. She has also started her career as a writer, writing some columns for BBC News Online. Marital Status: Married to Gene Goodenough. In past she was in a relationship with business tycoon Ness Wadia, but the couple has parted ways now. Preity Zinta was born in Shimla, Himachal Pradesh to Durganand and Nilprabha Zinta. She studied at the prestigious St Bede’s College in Shimla and obtained a graduate degree in psychology and a postgraduate degree in criminal psychology. She started her career as a model after her chance encounter with a director at a birthday party, where she was selected for an audition and was finalized. Besides being an acclaimed model and actress, Preity Zinta is a sharp businesswoman too, whose interests have taken her into share market and real estate business. She has also bought the successful IPL team called Kings XI Punjab, on which she has invested nearly Rs 350-400 crore. 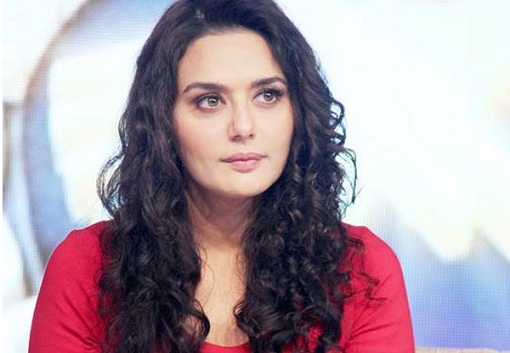 After her successful stint as a model, Preity Zinta entered the Hindi film industry in 1998 with a supporting role in “Dil Se”, in which she co starred with the likes of Shahrukh Khan and Manisha Koirala. Despite the presence of such big names in the movie, Preity was able to make a mark with her great talent and impeccable charm, which opened the doors of Bollywood for her. She then starred in “Soldier”, opposite Bobby Deol, and was appreciated for her performance. She received the Filmfare Award for Best Debut that year and got even a greater applause in the next year with the portrayal of a single mother in “Kya Kehna”. In the coming years, she delivered one outstanding performance after the other with big hits like “Kal Ho Na Ho”, “Koi… Mil Gaya”, “Veer Zaara”, “Kabhi Alvida Na Kehna” and “Salaam Namaste”. Preity entered the international arena with a role in Canadian venture called “Heaven on Earth”, which fetched her Silver Hugo Award for Best Actress at Chicago International Film Festival 2008. Preity Zinta owns two houses, on in her home town Shimla and another in the posh area of Beverly Hills, USA, both of which reflect her taste and style. She also received Kamalistan Studio in inheritance, which is valued over Rs 600 crore. Preity owns a Lexus LX 470 Crossover, which has a powerful engine and sturdy body.